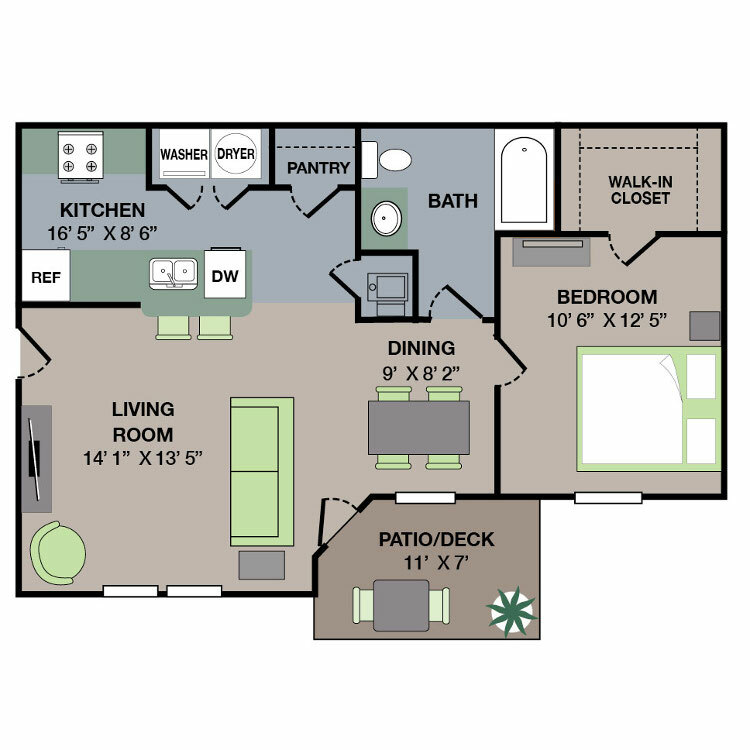 Aspen Grove offers three unique floor plans. Whether you're cooking up a delicious meal in your fully-equipped kitchen, or catching rays beside the outdoor pool, our apartments allow you the ability to live life to the fullest. At Aspen Grove, our goal is to transform mere apartments into true forever homes. Once our residents move in, they never want to leave! 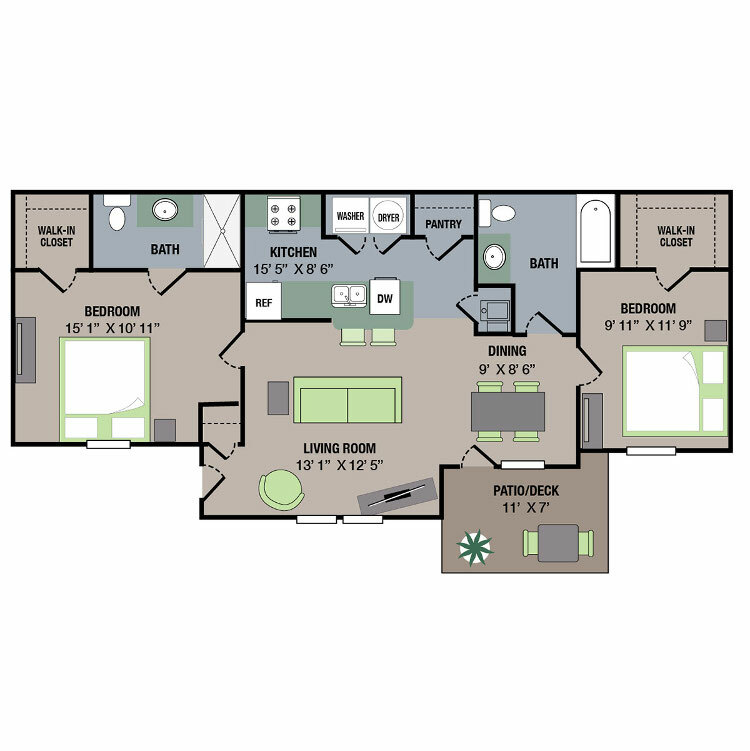 From our one-bedroom floor plan to our three-bedroom apartment home, we are confident that you will find the ideal space to suit your lifestyle. Water, Sewer & Trash are Included in Rent! Income guidelines and restrictions apply. Please see Leasing Office for qualification details. Pricing and availability subject to change. 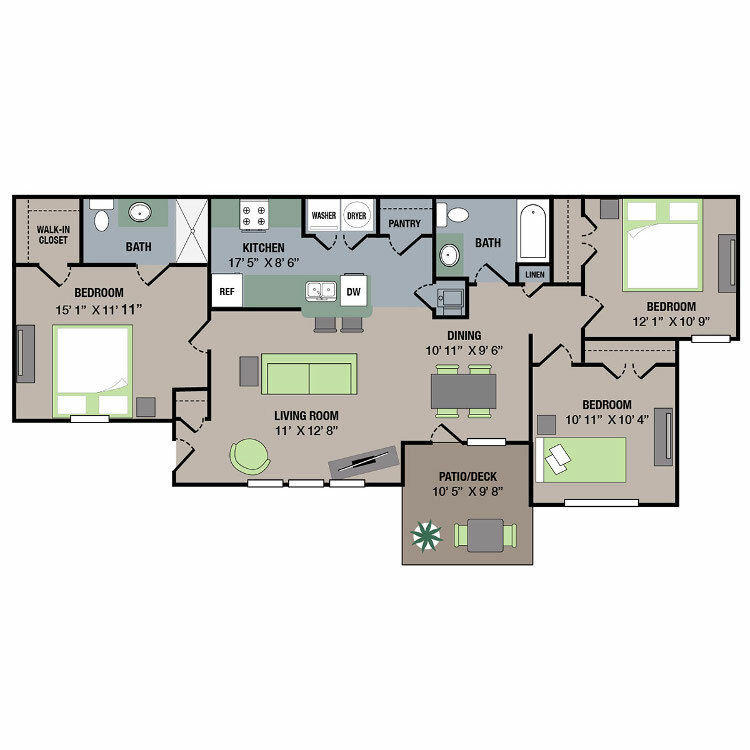 Please contact our Leasing Office for a pricing quote. 2 Bed/2 Bath - COMING SOON! 3 Bed/2 Bath - COMING SOON!